RewardExpert analyzed average rents and home prices to find the relative costs of buying and renting in 281 metropolitan areas in the U.S. The analysis determined the best places to rent and own. Conventional wisdom dictates that it is always better to own your home than to rent it. It’s commonly said that rent is merely money spent, while a mortgage payment builds equity, however slowly, and is almost always the better of the two options. It has recently come to light that this truism is now less true than ever, at least under certain circumstances and in certain places around the country. In this report, we are concerned rather less with the specific circumstances under which it makes more sense to rent or own (e.g. when one expects to move in five years or less, etc), but where it makes the most sense to rent, and where it makes the most sense to buy. This regional variation reflects uneven property values and home prices, and the disparities that appear between home sale prices and the rents a given market will support. RewardExpert analyzed average home sale price and monthly rent data from Trulia at the level of the Census Bureau defined Metropolitan Statistical Areas for 281 metropolitan areas in the United States. Using this data, we determined in which areas it is most advantageous to rent and in which it is most advantageous to buy a home at the local average price, with a 30-year fixed-rate mortgage and a 20 percent down payment. It still costs less to own than rent in more than half of the metropolitan areas studied. The difference is, however, only significant in a small fraction of these. In only five metropolitan areas does aggregate rent outstrip the cost of home ownership in less than twenty years. At the other end of the spectrum, there are thirteen metropolitan areas (three of which have been combined in our ranking as the San Francisco Bay Area / Silicon Valley region of California) in which the total cost of buying a home of average value with a 30-year mortgage is equivalent to 40 to 50 years of rent payments. Generally speaking, it makes the most sense to buy in Florida, Texas, and Rust Belt cities, and it makes the most sense to rent in California, cities in the Mountain West, and affluent Northeastern metropolitan areas. It is always and everywhere true that home ownership is superior to renting in at least one way: a mortgage payment builds equity and is an investment, while rent is simply money spent. Purchasing a home is, however, not a decision to be undertaken lightly, and in many markets and metropolitan areas homebuyers wind up paying more in the long term. In the following ten metropolitan regions, it is better to rent, unless you plan to remain in your home long after your mortgage is paid off. Number one on our list of places in which it is most to your advantage to rent is the region comprising Silicon Valley and the part of the San Francisco Bay Area included in the San Francisco-Redwood City-South San Francisco and San Rafael metropolitan areas. While monthly rents in the region are indeed obscenely high, running $3,608 per month on average, this has not kept pace with the even more gratuitously obscene prices of homes in the area, which average $1,295,000 as of May 2018. Over the life of a 30-year mortgage loan, this amounts to a total cost of $2,146,000 (excluding closing costs, property taxes, and insurance). Over the same period of time, total rent paid would just barely exceed the sticker price of a home, and it would take 49.56 years of monthly rent payments to exceed the total cost of buying a home here. Head south from Silicon Valley and you’ll find our number two entry along the Central Coast of California long before you even get close to L.A. While average home prices in the San Luis Obispo metropolitan area are little more than half those in the Bay Area, at $690,000, rents are still quite high ($2,130 per month), but not nearly high enough to make buying a home here make much more sense. It will still take 44.71 years of monthly rent payments at this rate to equal the total cost of buying a home, which (again, including only principal and interest payments, plus the down-payment) come out to a total of $1,143,000 over the life of the mortgage loan. Third on our list of metropolitan areas in which it is better to rent is Bellingham, Washington, the northernmost city in the U.S. with a population greater than 100,000, located between Seattle and Vancouver, British Columbia. Like many other places on our list, both home prices and monthly rents are quite high due to strong employment, high wages, and a tight housing supply in the area. In Bellingham, the relative advantage of renting over owning has only increased in recent years, as home prices have continued to increase ($415,000 in May of 2018 vs. $382,000 in the first quarter of 2017), while rents have dipped from $1,526 in February of 2017 to $1,295 per month in May of 2018. At these prices, it will take 44.22 years of rent payments to equal the total cost of purchasing a home. The prospect of purchasing a home in Billings, Montana may be particularly appealing for nature lovers due to its location in the Rocky Mountains and proximity to many national parks and forests, including the iconic Yellowstone National park. Home prices in the Billings metropolitan area in May 2018 average $267,941, up from $264,900 in May of 2017. Rents, meanwhile, have remained comparatively inexpensive—whether due to a surplus of available units, or relatively lower demand for rental units than for homes—averaging $845 per month. At this rate, it will be $139,000 cheaper to rent a home in Billings for 30 years than to own one after paying off a mortgage over the same amount of time. For our number five entry on our list of the places where it is best to rent, we return to the great state of California, to the hometown of John Steinbeck: Salinas. Also known as the “Salad Bowl of the World,” this Monterey County metropolitan area is located in the agriculture-heavy region between Silicon Valley and San Luis Obispo. Due in part to its closer proximity to the San Francisco Bay Area, homes in Salinas sell for an average of $775,000, as of May 2018, while monthly rents average $2,480, with aggregate rent outstripping the total costs of purchasing a home here only after 43.12 years. Property values in most of Colorado, with the notable exception of the Eastern Plains region, have increased so dramatically in recent decades that, since the 1980s, the state has mandated that property taxes be assessed on only a small fraction of fair market value. This may take away some of the sting of high mortgage payments, but it does not make renting any less advantageous in the Boulder metropolitan area, where an average home sells for $620,000 and rents average a comparatively modest $1,995 per month. After 30 years of rent payments at this rate, you will have spent a total of $718,200, whereas paying off a 30-year mortgage, on top of the 20 percent down payment, will cost you $1,026,800: another 12.89 years worth of monthly rent payments. Next up on our list of metropolitan areas where renters hold the most decided advantage over homebuyers is the Southwestern Connecticut metropolitan area anchored by the cities of Bridgeport, Stamford, and Norwalk, which form the urbanized core of this 25-town region that encompasses nearly all of Fairfield County, as well as a few towns in neighboring New Haven County. Homes in this extraordinarily affluent area sell for an average of $671,000, as of May 2018, while monthly rents average $2,151. With prices broadly comparable to those found in Boulder, it will cost about $315,000 more over the term of a 30-year mortgage to buy than to rent for the same amount of time. In order to break even, you will need to live in that home for 12 more years before coming out ahead—and that’s without accounting for Connecticut’s higher property taxes. While both home prices (averaging $149,000) and monthly rents (averaging $497) are significantly lower in Rocky Mount, North Carolina, than in any other metropolitan area where renters hold the advantage, the latter are so low that it will take only six months less time for the homebuyer to take the lead. Once property taxes are taken into account, it may make more sense to buy a home here than in some of the other places on this list, but if you aren’t in it for the long haul, a lower property tax rate won’t reduce the financial gap between the costs of renting and owning a home here by a significant margin. Property tax rates are an important consideration for all prospective homebuyers, and is covered in excruciating detail in a previous RewardExpert study. Number nine on our list of metropolitan areas in which renters come out ahead is the Nassau County-Suffolk County, New York, metropolitan area, which encompasses all of Long Island that is not within the borders of New York City. Including a broad swath of economic and demographic groups, from working class communities, to affluent suburbs, and to the notoriously ritzy and expensive Hamptons, home prices and average monthly rents on Long Island are slightly lower than in Southwestern Connecticut, at $599,000 and $2,000 per month, respectively. These prices are lower by a comparable degree, however, and so, homebuyers on Long Island only come out ahead one year sooner than those who chose Connecticut: it will take 41.33 years of rent payments to equal the total cost of purchasing a home with a 30-year mortgage. While the economic boom that has taken place in North Dakota over the past decade has primarily affected the western half of the state, from Bismarck to the Montana state line, its effects have been felt statewide. While home prices average a relatively modest $258,499 in the metropolitan area anchored by the city of Fargo on the North Dakota side of the Minnesota state line and Moorehead on the Minnesota side, the lower demand for housing (as compared to housing stock) in eastern North Dakota results in monthly rents low enough to put homebuyers at a disadvantage over the long term—at an average of $872 per month, you will end up paying less in aggregate rent than the total cost of buying a home until the 40-year mark. The inherent advantage of home ownership is everywhere the same: building equity with every mortgage payment and eventually owning your home outright after at most 30 years. In the following ten metropolitan areas, prospective homebuyers are at the greatest advantage compared to those who choose to rent: homes are relatively less expensive, while rents are comparatively higher. In these markets, homeowners come out ahead long before their mortgage is paid in full. For those with deeper pockets, you might want to consider an investment and/or rental property in these metropolitan areas. It may come as some surprise that average monthly rents in our number one metropolitan area for homebuyers are barely more than $100 lower than those found in the Bay Area and Silicon Valley. Home prices in the Southwestern Florida metropolitan area centered upon the city of Naples and Monroe County are, however, dramatically lower—an average home here sells for $419,000. With average rents hovering around $3,500, the total cost of monthly rent over the term of a 30-year mortgage comes out to $1,260,000, whereas the down payment and total principal and interest payments on an average home comes out to $694,000. Homebuyers here come out ahead after 16.52 years. Best known for having once been destroyed in a catastrophic flood, the western Pennsylvania Johnstown metropolitan area, located about halfway between Harrisburg and Pittsburgh is number two on our list of places where homebuyers come out ahead. With average home prices as of May 2018 at $79,900, it is not difficult to see how this might be. Even with low average monthly rents of $595 in the area, rent payments outstrip the total cost of buying a home after 18.53 years, making a home purchase in the Johnstown area a good investment. The Camden, New Jersey, metropolitan area includes all of Camden, Gloucester, and Burlington Counties, and is a constituent part of the Greater Philadelphia metropolitan area (the Pennsylvania portion of the Philadelphia metropolitan area just missed making this list). With home prices averaging an affordable $209,000 (compared to $234,900 just across the Delaware River in Pennsylvania) and monthly rents averaging $1,500 (slightly higher than the $1,487 in the Philadelphia, Pennsylvania metro), homebuyers come out ahead rather quickly, with the total principal and interest costs of a home equivalent to 19.31 years of rent payments. The fourth-best place in the country for prospective homeowners is adjacent to the Camden, New Jersey metropolitan area. While the Atlantic City-Hammonton metropolitan area, which encompasses the entirety of Atlantic County, New Jersey, lies just outside of the Greater Philadelphia area, it is still well-within commuting distance of jobs in Philadelphia and its environs and is served by New Jersey Transit’s only commuter line in Southern New Jersey. Home prices and monthly rents in and around Atlantic City are slightly higher, at $239,900 and $1,700 respectively, when all is said and done, homeowners come out ahead after only a month or two more. The area around East Stroudsburg, Pennsylvania, lies on the outer fringe of the Greater New York City region and is home to many commuters with jobs in or near New York City, or in the nearby Allentown-Lehigh Valley region of Pennsylvania. Not surprisingly, monthly rents in the area are relatively higher than monthly mortgage payments on an average home and add up more quickly to more than the total cost of homeownership. With average monthly rents around $1,200 and home prices of $170,000, as of May 2018, East Stroudsburg homebuyers break even after 19.55 years, compared to renters who stay put for just as long. Seventh on our list of places where it is better to buy than to rent is the Upstate New York metropolitan area surrounding the city of Syracuse. As the largest city in Central New York, and home to several colleges and universities, average monthly rents in the region of $1,010 are rather high in comparison to the average sale price of homes in the area of $155,000. It is not at all difficult to see why homeowners quickly come out ahead: the total cost of buying a home in the Syracuse area, after paying off the mortgage, is only about $226,000, which means homebuyers come out ahead after 21.17 years without even beginning to account for equity accumulation. For number eight on our list, we return to Florida. While real estate in and around Port St. Lucie is far less expensive than it is in and around Naples, the Port St. Lucie area makes our list for the same reason: area rents, averaging $1,750 per month, are disproportionately high, as compared to home prices, which average $269,900, as of May 2018. Homeowners in sunny Florida break even after scarcely a month more than in snowbound Syracuse. The El Paso, Texas, metropolitan area, which extends across the state line to include communities in Southeastern New Mexico, is ninth on our list of places where homeowners hold the greatest advantage over renters. And with recent, dramatic improvements across the border in the Mexican city of Juarez, El Paso looks poised to continue to be a city on the rise. Home prices here average a modest $169,900, with a total principal and interest cost of $281,000 with a 30-year mortgage, while rents average $1,100 per month. At this rate, aggregate rental payments outstrip the total cost of paying off a mortgage in 21.31 years. Finally, at number ten, we have the coastal Texas city of Corpus Christi and its environs. Both home prices and average rents are higher in Corpus Christi than they are in El Paso, at $230,000 and $1,489 per month respectively, but the advantage held by homeowners is almost exactly the same. It takes 21.317 years for aggregate rental payments to outstrip the total cost of buying a home and paying off a 30-year mortgage in Corpus Christi, as opposed to 21.316 years in El Paso. Prices may differ, but the advantage held by buyers over renters might as well be the same. One sure way to make your hard-earned money go a little further is by getting a great cash back credit card . Not only will you be making money back with every purchase, but they can be great for financing a big purchase or paying down some existing debt. The Citi Double Cash is probably the best cashback card on the market in terms of return for your everyday spending. It’s simple: You’ll get 1% back when you make a purchase and another 1% when you pay your bill. That means that if you keep up with your card payments—and everyone should—you’ll get a great 2% back on all purchases. That’s hard to beat. If, however, you need to get on top of some debt or you’re planning to make big purchase soon, you should consider the Capital One Quicksilver card. It offers 1.5% back on all purchases and 15 months of interest-free financing on both balance transfers and purchases. 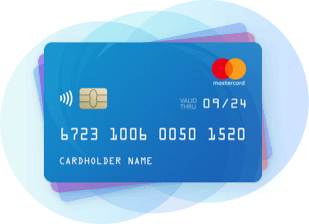 If you’ve got an outstanding balance on a high-interest credit card that you just can’t seem to pay off, this is the card for you. Sometimes it’s nice to earn some free cash. With the Wells Fargo Cash Wise Visa, you’ll get $200 just for spending $1,000 on the card within the first three months. You’ll also get 1.5% cashback on all of your purchases. Whatever you’re looking for, there’s a cashback card to fit your needs. Jump in with a big sign-up bonus, finance a big purchase with 0% APR, or earn great rewards on everyday purchases. The choice is yours. RewardExpert analyzed average home sale price and monthly rent data from Trulia at the level of the Census Bureau defined Core-Based Statistical Area for 281 of the 300 largest metropolitan areas in the U.S. to determine in which ones it is most advantageous to rent, and in which it is most advantageous to buy a home at the local average price, with a 30-year fixed-rate mortgage and a 20 percent down payment. We calculated the total cost of buying a home over the life of the mortgage loan using a standard amortization formula, at a 4.4 percent annual interest rate, with a starting principal balance of 80 percent of the average sale price, as the sum total of 360 monthly payments and the 20 percent down payment. We calculated the total amount of rent that would be paid at current rates over the same period of time, and then the difference between these totals. We ranked metropolitan areas based upon the amount of time it would take for rent payments to outstrip the total cost of purchasing with a 30-year mortgage.